They say time and distance heals all wounds. And on its second full-length album, the formerly Massachusetts-based trio Potty Mouth puts its own spin on this old adage while polishing up its alternative pop punk sound to a healthy West Coast sheen. 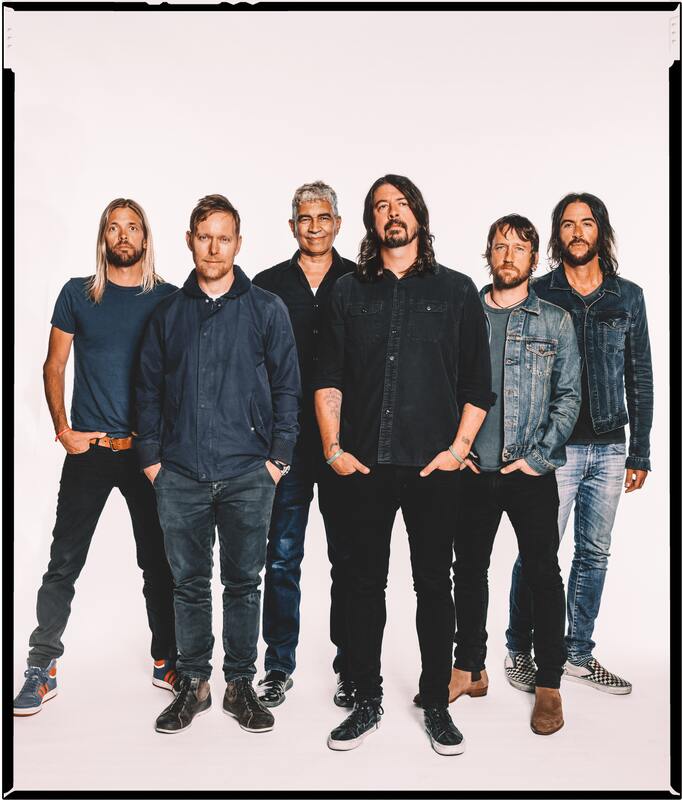 You see, the group may have gotten its start in Western Mass., but now calls Los Angeles home, and the change of scenery has seemingly charged up the band to craft its most ear-catching and fist-pumping collection of songs to date. This is pleasing news for fans, who have waited since 2015 for Potty Mouth to release a follow-up to its self-titled EP. Album opener “Do It Again” wastes little time in thrusting listeners headlong into the proceedings. Drummer Victoria Mandanas pulls double-duty providing a driving beat and backing vocals as singer and guitarist Abby Weems slashes at distorted chords while veering lyrically between lines centered on uncertainty. “Yeah I really wanna / Don’t know if I’m gonna,” Weems sings, somehow making either option sound like the right one. That seeming sense of indecision bleeds over into the next track and first single, “22.” Here Potty Mouth rebrands the familiar punk lament of fear of growing older into its own anthem that straddles the line between being scared of waking up another age, and feeling relieved that you can still do the same things you did when you were younger, only now with a different set of pressures. Packaged as speedy pop punk number with catchy hooks, the song is a strong contender for being your next earworm. But wait there’s more. 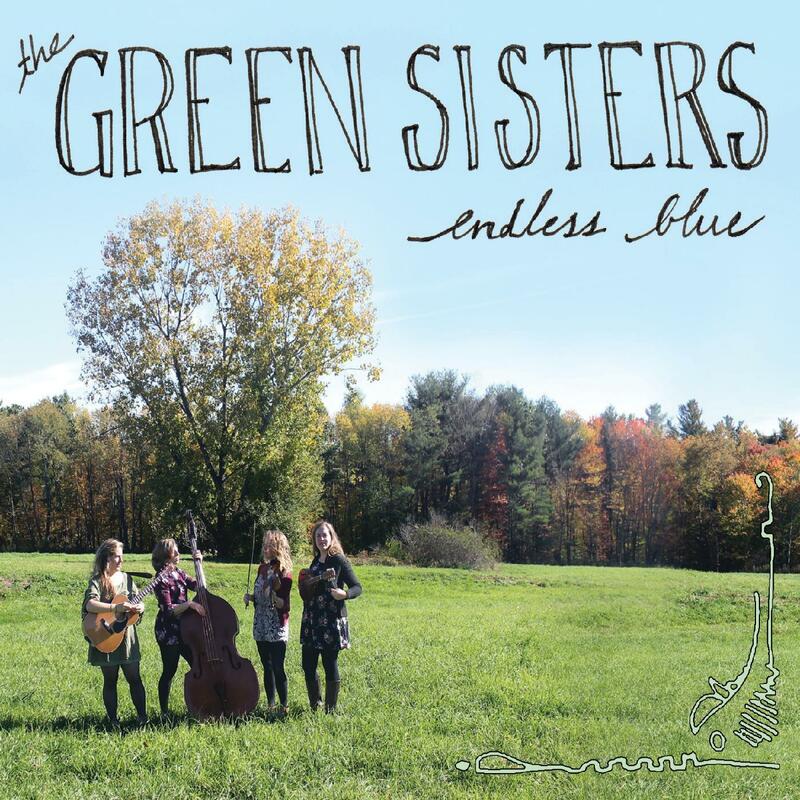 Elsewhere, Potty Mouth finds time to reference its old stomping grounds in “Massachusetts.” A heavy riff sets the scene as Weems details how a creeping sense of dissatisfaction or urge for something more can push a person to want to leave their hometown, much like Potty Mouth left the Pioneer Valley for California. There are other nods to the past as well. Both “Smash Hit” and “Dog Song” are tunes that have been previously released by the band, but are included on SNAFU in their definitive versions. 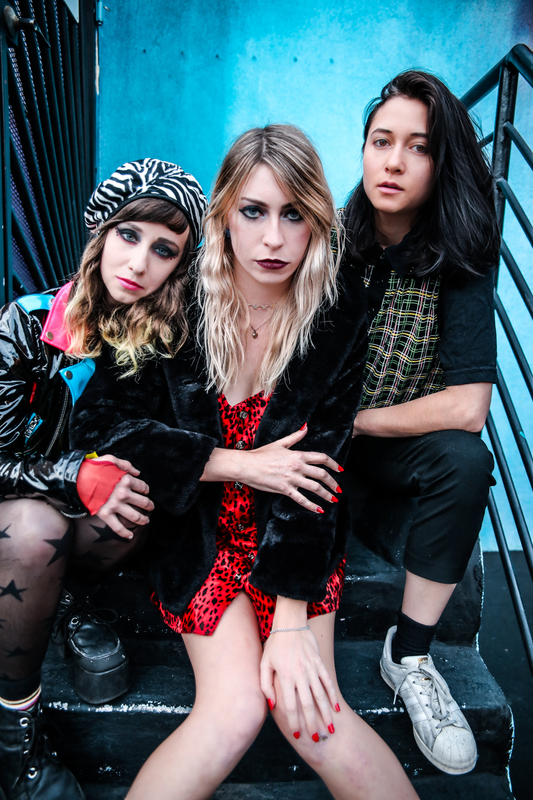 While “Smash Hit” saw release as a single in 2016, “Dog Song” first appeared on Potty Mouth’s Bad Bad demo cassette in 2011. Call them each closet cleaning moments as the group looks to make a break from its past into a new and exciting future. SNAFU – Situation Normal All Fucked Up. To Potty Mouth this acronym is more than an album title, it’s a mission statement. The news of the day is a never-ending barrage that has numbed many. The trick is to hijack the powerless feeling of the situation and embrace the chaos on your way to forging your own path through it all. On SNAFU the album, Einbinder, Weems, and Mandanas push Potty Mouth to new heights. 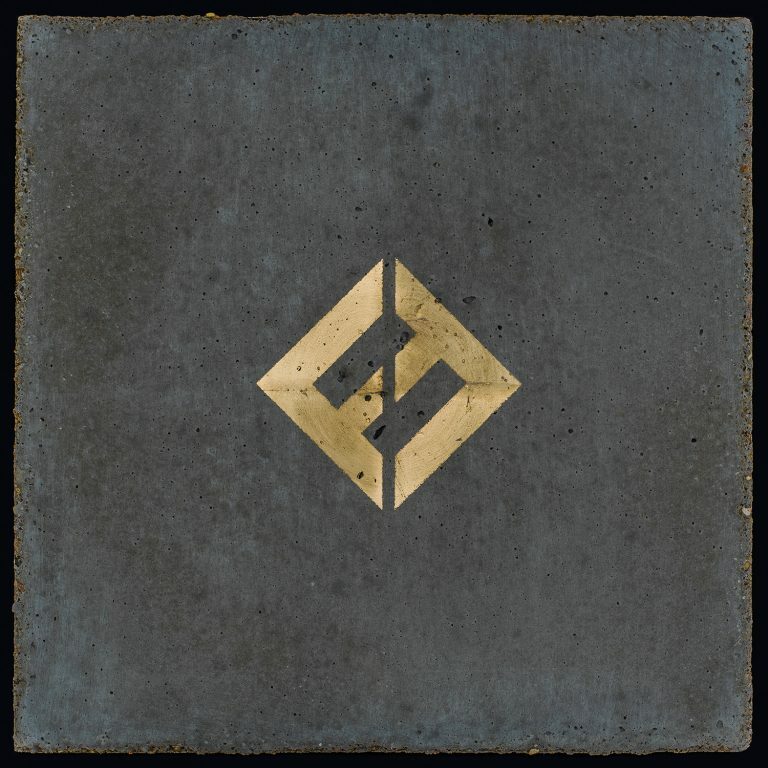 The end result could be a new normal – no nonsense rock that stands on its own terms, situation be damned. For more information on Potty Mouth please visit https://pottymouthworld.com/. Listening to the soundtrack of a film one has yet to see is a test for the ears. Free of images to pair with the music, the mind digests the sounds heard in as-is fashion. While such an experience can be just as fulfilling as playing a record linked to a well-watched favorite movie, the flip-side is akin to looking at an incomplete picture. The bones are there, but the rest of the canvas is waiting to be fleshed out. For the soundtrack to the new biographical film “Blaze” directed by Ethan Hawke, the above description is pretty apt. Centered around the tumultuous life of deceased country singer and songwriter Blaze Foley, “Blaze” sounds like a movie that attempts to paint a picture of a character who defies easy description. The soundtrack to the film, featuring performances by the musician and actor portraying Foley, Ben Dickey, amongst others, is a fitting companion piece. What the project lacks in completeness, it makes up for with musical highlights. Foremost among these highlights are Dickey sung covers of some of Foley’s best-known songs “Clay Pigeons” and “Picture Cards.” The former is a seemingly hopeful tune played on acoustic guitar in Foley’s signature loping finger-picking style. Over added sound effects that mimic chirping birds, Dickey sings of starting over again and going “down where people say y’all.” However, the song’s bright melody belies additional lines about hiding sorrow and changing the shape the singer is in. It’s an optimistic number shrouded in sadness, and given the tragic outcome of Foley’s short life the sentiment is liable to cut straight to a listener’s heart with repeated listens. Perhaps even more aching in nature, “Picture Cards” is a love song sung from the edge of despair. Again featuring Dickey on vocals and finger-picked acoustic guitar, the track is accented by lonesome harmonica that trails over lyrics that talk of finding daylight in a lover’s eyes, but also of not trying to fall in love and trying instead to wash those feelings away. Still more heartbreaking is the addition of the sound of pool being played in the background of the song’s latter half, as if Dickey is performing the number in a lonely bar with apathetic patrons focused more on their billiard game than on the singer in the corner. Those are good questions. Blaze Foley lived a life full of contradictions, so many in fact that even a film garnering as much early praise as “Blaze” probably has its hands full trying to accurately portray every angle of a man, who spent his time running away from tidy identification. The pieces of his story are there, like breadcrumbs ultimately crafting a phantom trail to some firm resolution, but legends are always more than the sum of their parts. 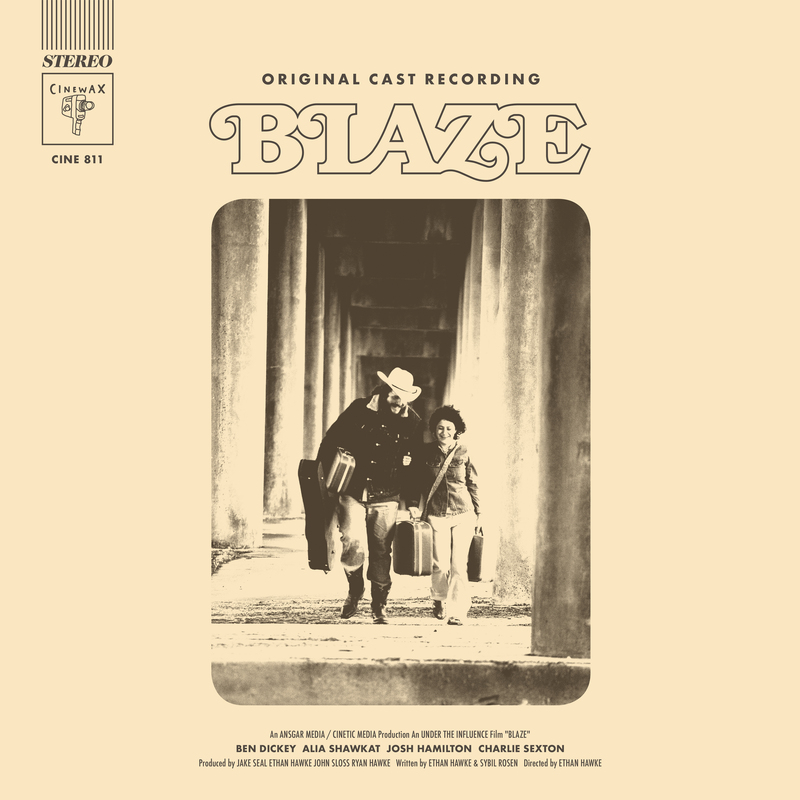 With BLAZE: Original Cast Recording both Foley and Ben Dickey have been cast as stars. Listeners who track down the album and see the film will gain a fuller picture of both men, but if the soundtrack is all one gets to experience just the songs will do. The best of the bunch rise above the level of simple stars. Their timelessness, like Foley’s own saga, will live on forever. For, he explains, those at sea who are blessed with a talented voice may help raise the spirits of a lagging crew, and make even the most drudging of work feel less monotonous. Could, though, such a songster on a ship even lead one to buried treasure? To test said hypothesis, enter into this swashbuckling tradition the figure of Snackbeard the pirate (aka former Valley Advocate writer and editor Tom Sturm), who embarks on such a quest on a self-titled children’s music album, which is available now. Consisting of 10 tracks that merge a narrated tale of adventure on the high seas with songs that give life to such topics as getting a ship ready to sail, and what happens when someone is forced to walk the plank, the album is not short on storytelling moxy. The record’s opening cut sets the scene with a backdrop of sounds that include water lapping against the shore and gulls soaring overhead. Snackbeard/ Sturm provides a fine voice for the proceedings, consisting of equal parts wizened sea scallywag and cryptic storyteller, who alludes to interactions with a “harebrained” scientist as well as informing listeners of his own intriguing backstory. The music doesn’t start until track two, where the speedy “Ship Shape” blurs by like an old LP played at 78 rpm instead of the recommended 33 and 1/3. The sub-two minute blast also introduces a plethora of additional voices that paint a picture of a merry band of scoundrels running around decks trimming sails, tightening lines, and trying to obey the captain’s orders. “Salmagundi,” the next track, features perhaps the album’s most appropriate subject matter – food. Described as consisting of “a bit of this and that,” the dish itself may be a mystery, but there’s no mistaking the tune’s Caribbean rhythm with acoustic guitar strummed over what sounds like distant steel drums. Variety in instrumentation and overall story keep Snackbeard an engaging listen. As events progress from a treasure hunt to mutiny and even to an encounter with a dreaded kraken, the music changes too. Violin and guitar fade away as distorted riffs and tolling bells emerge like subterranean sea monsters crawling up from the ocean floor. Even the many voices in the mix evolve from upbeat pirates “yo ho hoing” to ghastly specters on a ghost ship cackling and chanting. Listeners be warned. 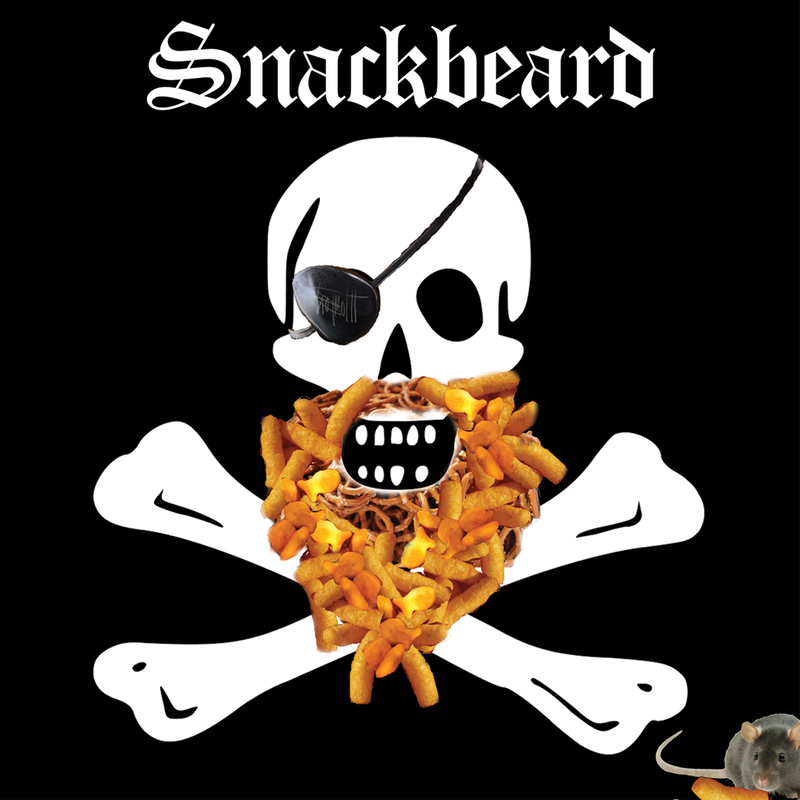 If your kiddo has already sat through all of Disney’s “Pirates of the Caribbean” franchise, then nary an eye will probably be batted at the ominous sounds that emanate from some of Snackbeard’s darker tracks. But, the tiniest of audience members may have a question or two for mom and dad regarding bilge rats, shanks, and just what happens down in Davy Jones’ Locker. Parents may even enjoy Snackbeard as much as their children. The album is filled with references to pirate lore and history. So many details are included in fact that repeat listens are quite rewarding as opposed to the grating irritation that can come from hearing certain kid favorites ad nauseam. Sturm’s life as a writer shines through with a veritable treasure trove of a vocabulary sprinkled throughout, providing ample terms to research together, maybe even for a pirate-themed spelling bee or two. Despite the record’s replay value, what Snackbeard begs for is a sequel. A bunch of adventure is crammed into 40 minutes, and many grateful parents will no doubt applaud the tales for not going on too long or overstaying their welcome, but by the time events conclude, sans treasure and the pillaging of even a single merchant ship, the ending of the story arrives sooner than expected. Will the Crimson Crest sail again? What too of the captain’s daughter? Has the kraken disappeared for good? Fans will just have to wait until Snackbeard takes to the waves again in search of gold and goodies to eat to find out the answers. For more on Snackbeard please visit https://www.facebook.com/snackbeardthepirate/.